The distribution of income, the rate of pay raises, and the mobility of employees is crucial to understanding labor economics. Although research abounds on the distribution of wages across individuals in the economy, wage differentials within firms remain a mystery to economists. The first effort to examine linked employer-employee data across countries, The Structure of Wages:An International Comparison analyzes labor trends and their institutional background in the United States and eight European countries. A distinguished team of contributors reveal how a rising wage variance rewards star employees at a higher rate than ever before, how talent becomes concentrated in a few firms over time, and how outside market conditions affect wages in the twenty-first century. 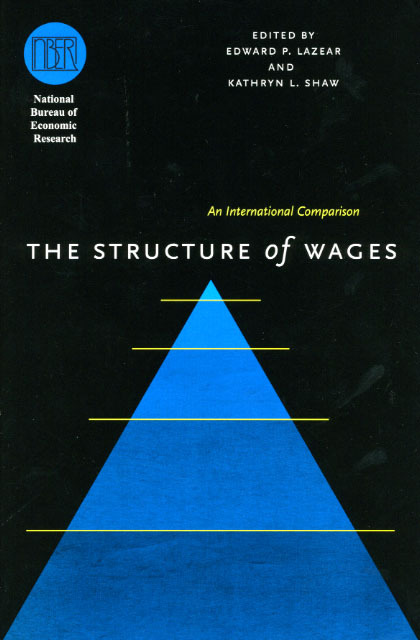 From a comparative perspective that examines wage and income differences within and between countries such as Denmark, Italy, and the Netherlands, this volume will be required reading for economists and those working in industrial organization.